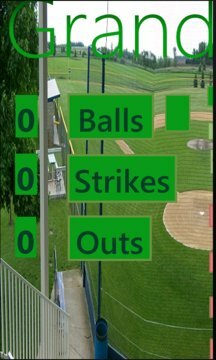 Allows detail tracking of baseball and softball games and optional score sharing with fans, friends or relatives by sending a text message. Large buttons, quick entry/correction and fast SMS updates make it very easy and functional to use. 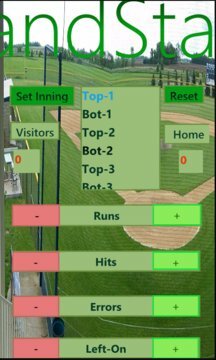 This panoramic application consolidates the tracking of many features including: balls, strikes and outs; then slides into tracking of innings recording runs, hits, errors and left on; then slides into a complete scoreboard with inning SMS capabilities. Using these powerful features can help to reduce or eliminate the irksome 'give me an update on the game' phone calls or text messages. The text numbers may be conveniently added through your Contacts list or manually. Data is saved and retrieved locally on the phone.